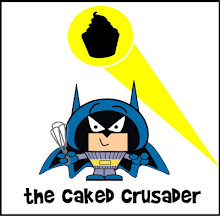 Today is Father’s Day and the CCD’s (Caked Crusader’s Da) favourite cake flavour is coffee. That made the selection of this cake extremely easy – and yet another celebration cake I wouldn’t be eating. Let’s just say coffee’s not my thing. What sets this apart from other coffee cakes I have made is that the sponge itself contains no coffee. However, baked into and onto the sponge is a streusel containing instant coffee granules thus packing a real wallop (technical term) of flavour along with texture. I had my doubts as to whether this would provide enough flavour...until I made the streusel and sniffed it; it smelled like a coffee shop where they grind their own beans (a horrible or lovely smell, depending on your tastes). A generous drizzle of coffee icing adds further oomph (enough of the technical language I hear you cry!) and looks rather pretty. In order to test that the icing was smooth and ready to use I tasted a bit...and can vouch that it had a very, very strong flavour...shudder. I selected this recipe as the cake keeps for several days in an airtight tin; this meant the CCD could take home some slices and enjoy them throughout the week. Let’s face it, when you tot up all the things our dad’s do for us, they deserve more than one day of celebration! Preheat the oven to 160°C/fan oven 140°C/325°F/Gas mark 3. Start by making the streusel: Place all the ingredients in a bowl and stir together. At first it will seem like there isn’t enough butter to bind the dry ingredients, but keep stirring and it will become moist and clump into a texture like wet sand. Put to one side while you make the cake. Beat together the butter and sugar until pale and whippy. Don’t skimp on this stage as this is where the air gets into the sponge. Beat in the eggs one at a time, adding a little of the flour if it starts to curdle. Spoon half the cake batter into the prepared tin and level the surface. Sprinkle half the streusel mix over the cake in an even layer. Spoon the remaining cake batter over the streusel and spread it out, taking care not to disturb the streusel. Sprinkle the remaining streusel over the top. Bake for 1-1 ½ hours or until a skewer inserted into the cake comes out clean. 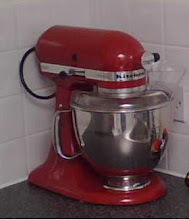 Place on a wire rack to cool and, when safe enough to handle, remove the cake from the tin and leave to cool completely. When the cake is cool, make the icing: dissolve the coffee in the boiling water and leave to cool. When cool beat into the icing sugar to make a thick, glossy icing, adding more water if necessary. A fab cake for Father's Day and for all coffee lovers. I love coffee and this would be wonderful to have with our weekend coffee (yep more coffee). I love coffee cake! My dad would love this too. I love coffee cake even though I don't drink coffee - weird I know. My dad loves coffee so he would definitely love this cake - it looks amazing! The streusel and the icing... yum! A very appealing smell in my case (but only developed when I started doing night shifts and caffeine became an absolute essential!). I'm sure CCD was super chuffed with this cracker of a cake- a brilliant Father's Day treat! Coffee cake is one of my favourites even though I find it revolting to drink, and this looks like a lovely alternative to the usual coffee and walnut cake. I'm sure the CCD will be enjoying it for days! Sigh. When I see stuff like this I remember when my Monday mornings included a slice of CC's cake. Sigh (again). Gorgeous !! I have been thinking it's time I tried making a streusel cake so thanks for the recipe. First of all, YUUUUUUMMMMMMMM!!! Good lord, but this looks delicious! Second, the icing looks a bit like caramel. Would it work, do you think, to make this a caramel-y coffee cake? I have anti-coffee people in my life and I'd hate to exclude them when I attempt this GLORIOUS CAKE!!! What a gorgeous cake - bet your Dad was pleased. this cake look absolutely amazing! I love coffee cake so this looks perfect to me! My Dad would love it too, I'l have to try it as a belated Father's Day gift.